Canada to Make Global Talent Stream Permanent - Canada Immigration and Visa Information. Canadian Immigration Services and Free Online Evaluation. 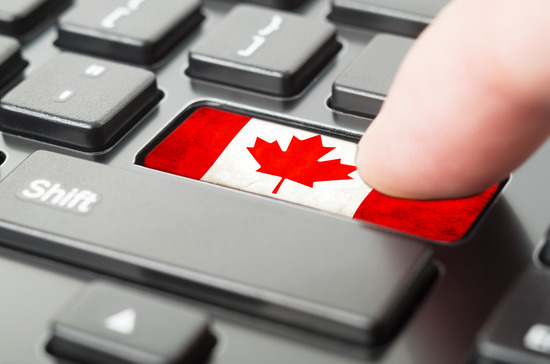 April 3, 2019 – Canada’s federal government is planning to build on the success of the Global Talent Stream by making the pilot work permit program permanent. GTS, which offers two-week Canada work permit processing for referred employers and targeted technology jobs, has been lauded by the business community as a crucial tool in attracting foreign talent. The two-year pilot was launched in 2017 and is due to expire later in 2019. In the recent federal budget, the Liberal government announced a plan to make GTS a permanent fixture on the Canada immigration landscape. “Building on the success of the Global Talent Stream pilot, Budget 2019 proposes to make the Global Talent Stream a permanent program,” the budget statement said. The budget also allocated spending of $35.2 million over five years, starting in 2019, in making the GTS permanent. A key pillar of the GTS is the transfer of skills from foreign skilled workers to their Canadian counterparts. Figures show that since the GTS launched in 2017, Canadian employers have committed to creating 40,000 jobs for citizens and permanent residents, forming 10,000 co-op placements and invested in more than $90 million in training. What Are the Key Elements of The Global Talent Stream? Two-week standard for processing Canada work permit applications (and Canada visa applications when applicable) for highly skilled talent. Dedicated service for companies looking to make significant job-creating investments in Canada. Dropping of the work permit requirement for short-term highly skilled work (30 days or less in a 12-month period), and brief academic stays. Client-focused service to help guide eligible employers through the application process and the development of the Labour Market Benefits Plan, with a service standard of 10 business days. Eligibility for workers to have their work permit applications processed in 10 business days. Some of Canada’s largest technology companies have taken advantage of the GTS, including Ottawa-based Shopify, Terramerra in Vancouver, and Toronto-based financial technology firm Wave. Under the GTS, skilled workers can expect their Canada work permits and Canada visa applications processed within two weeks. The program was launched on June 12, 2017, with Quebec unveiling its version of the program on September 11, 2017. GTS forms part of the Temporary Foreign Worker Program. The federal government wants to help high-growth companies bring in the talent they need quickly by cutting processing times for a Canada visa application from six months to just 10 business days. A key element of the GTS is that registered employers will need to commit to creating jobs for Canadians and transferring knowledge to Canadian workers, under a Labour Market Benefits Plan. The Global Talent Stream is part of a broader Global Skills Strategy to directly help Canadian businesses including start-ups, thrive. Canada’s Technology Sector to Gain From Trump Uncertainty in U.S.